We appraise vehicles in regions of south central Ontario Canada. We will come to your home to view the vehicle or you can come to us. We will spend considerable time going over the automobile, review and document it’s condition and features. We will also spend time discussing the vehicle with you – having you advise us on the work you have done or had done. We will review and photograph all build or restoration documentation you have. We will also take several photographs of the vehicle to document condition. At our office we will research the vehicle, the VIN #, we make and assessment of the condition of the automobile and research for several comparable in the market and consult other sources to establish a ”Fair Market Value “. At this point we will prepare two (2) certified original appraisal documents (one for the owner and one for the owners insurance company ). These documents will include a detailed written description of our findings and assessment as well as vehicle photographs. These will be sent to the owner (or, one copy to the owner and we can arrange to send the insurance copy to the insurance company or broker on behalf of the owner). This is a detailed condition and value report that is used as the basis of a “stated value” automotive insurance policy endorsement. These reports can also be used by the consumer as a means to notify their insurance underwriter of improvements or modifications to an automobile, which may avoid a denial of claim. “Collector car” insurance policies always require these reports and many underwriters in Ontario require this report for any vehicle that is older than 17 years, regardless whether it is considered a collector car or not. This type of report can be produced for automobiles, trucks, trailers, tools, parts, restoration projects, and even non-licensed race cars. In short, for any vehicle or auto related object that may be subject to an “agreed value” insurance policy. This is a package consisting of a detailed mechanical inspection/report performed by a licensed mechanic as well as a detailed value and condition report performed by a licensed appraiser. The package can also include an insurance appraisal report, Retail Sales Tax appraisal, and mechanical fitness certificate. It is always good business sense to have a professional PPI done prior to the purchase of a high value, collector or exotic vehicle. This is a report concerning a vehicle after it has been damaged so that its value has been diminished or it has been damaged, burned or stolen to the extent that it is a “total loss.” The report establishes the value of the vehicle prior to the damage in Actual Cash Value using terms and procedures accepted by the insurance industry. The Ontario government requires that you pay Retail Sales tax when transferring ownership of a vehicle. If the vehicle is not in the Canadian Red Book (over 17 years old), or, when the vehicle is newer but is damaged or lower valued than wholesale value you need this simple one page report. It is produced “on the spot”. This is a simplified condition/value report or list that is made in the case of divorce, deceased, or charitable donation. If the VIN (serial number) of your 30 year old or older collector vehicle is incorrect or missing, a licensed appraiser is empowered by the Ontario government to officially correct the VIN. Fraud investigations, depreciation reports, civil suits etc…. If you, as a consumer, are unhappy with a financial settlement offered by your insurance company, you have two options. You can go to direct mediation with the insurer or you can use the GIO (General Insurance OmbudService). In either case, you are advised to use the services of a licensed appraiser to properly represent your case with a value/condition report. 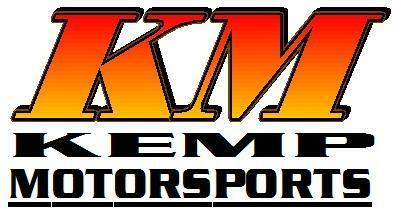 For a free, no obligation, consultation concerning any of the services outlined above, please contact Kemp Motorsports. OUR FEES- Our fees are fair and reflect the quality of service offered by Kemp Motorsports & Appraisals. Please contact our office.